The casual chic of the Hamptons – favoured summer getaway of New York’s rich and famous – is an in-demand aesthetic the world over. 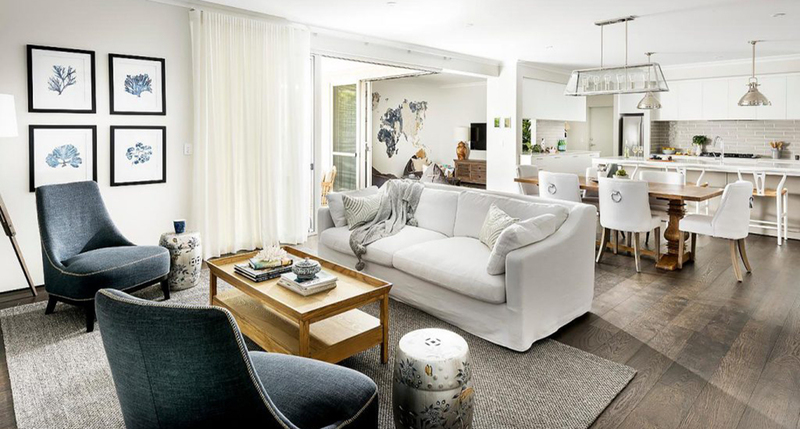 The Hamptons vibe – beachy, airy and full of natural light – goes perfectly with the Australian climate and relaxed attitude, so it’s no wonder homeowners in search of makeover inspiration are turning to this string of tiny villages on Long Island. An absolute hallmark of "the Hamptons style is a layered look of predominantly white, with a mix of beige, grey and cream, and the occasional feature wall or item of furniture in a navy or Prussian blue. If you’re rethinking your colour scheme, start with white walls and furniture and look for a few areas to introduce a touch of muted blues and beiges. “Invest in beautiful fabrics to add an accent to the muted, textured backdrop of the Hamptons look. Cushions are an easy way to add interest,” says interiors expert designer Natalee Bowen. Evoking a life of travel and adventure, the Hamptons home is adorned with antiques, tribal carvings, modern art, Ming vases and indoor plants. The trick here is not to overdo it – laid-back luxury is the order of the day (that means avoiding the seaside clichés of ships and beach scenes). Instead, look to a well-placed cluster of prints or featured piece to bring dynamism and a personal touch to the home. We’re talking jute rugs, linen sofa covers, wooden floorboards, wool throw rugs, and marble benchtops. These types of touches give a warm, timeless and homey feeling. 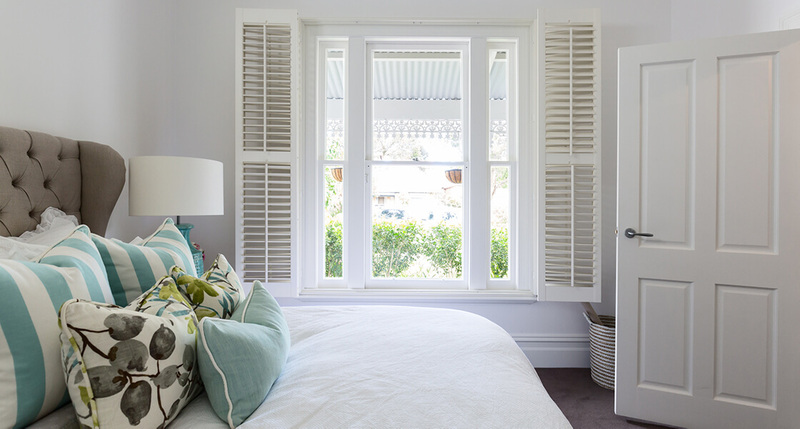 Again, this can be easily achieved with a few simple replacements, for example, replacing plastic Venetian blinds with wooden ones, or some new cushion covers. If you’re doing a large-scale renovation, natural wood floorboards, white wooden kitchen cabinetry, and pale stone benches are a must. As it’s primarily a summer destination, Hamptons living is about the indoor-outdoor blend, so do as much as you can to bring the outside in – whether that’s taking down heavy curtains, putting up big mirrors to reflect the light or installing skylights and glass sliding doors. A light-filled home not only looks fantastic but also has many health benefits. Entertaining is a key focus of the Hamptons house – from Gatsby to celebrity chef Ina Garten, hosting is part of the deal, so an open-plan kitchen, living and dining area is the way to go. Homes feature a big dining table and comfy, oversized sofas to relax on afterwards. Ideally, an outdoor entertaining area will feature a large table to bring family and friends together over a shared meal. So whether you’re looking to refresh your interior design or to renovate your home fully, there are plenty of ways to introduce the casual elegance and stunning simplicity of a Hamptons look. 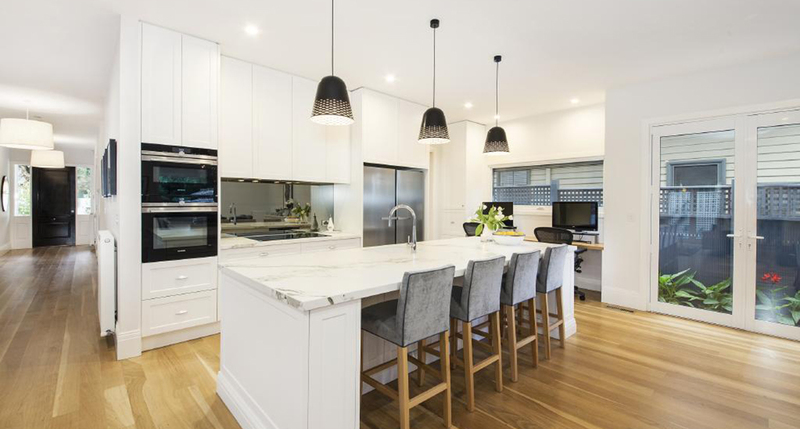 For more home renovation inspiration take a look inside some of the homes of Australia’s rich and famous. Find out the value of your home in just 30 seconds with a free online property report from Upside.